Consumers today demand drinking water that looks, smells, and tastes good. The occurrence of aesthetically unpleasing T&O compounds in water creates a perception of unsafe water. 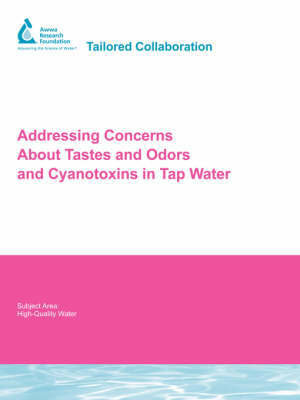 The main sources of T&O problems in municipal water supplies are certain types of algae, mainly blue-green algae (cyanobacteria) and fungi (actinomycetes). Although many compounds may impart T&O to water, by far the most commonly reported are two chemicals: geosmin and MIB. Treatment removal of algal metabolites demonstrated that microcystins measured lower after the addition of powdered activated carbon (PAC). Treatment removal showed that low levels of chlorine oxidize microcystins given sufficient contact time. Water distribution samples were split between a flavor profile analysis (FPA) panel and a gas chromatograph mass spectrometer (GC/MS). Data generated between the FPA and the GC/MS showed high variability for geosmin and MIB. FPA results showed a direct correlation with MIB and geosmin, but were weak for cyclocitral. FPA results could be predicted with MIB/geosmin plots and with a MIB, geosmin, and cyclocitral plot.